About four weeks ago, I wrote on my blog that Facebook was heading for a ridiculous valuation when it was launched on the stockmarket. That wasn’t because I think it’s a bad company – pretty clearly a company that makes a billion dollars in profits after only a few years of life is a remarkable creation. I have only respect for Mark Zuckerberg, its creator. Unfortunately, I’m being proved right at sickening speed. The firm had its IPO (Initial Public Offering) on 18 May – that is, the date when its shares first began to trade on the market. Since last Friday, the firm has lost 31% of its value, in comparison with the intraday high of $45 per share. Yesterday’s close was $31. But let’s not talk about the firm. Let’s talk about you. If you invested £1000 in the company’s shares, that money is now worth around £700. Realistically, given various costs and fees, you might well find that money worth just £600. And you’ll lose more before things stabilise. So what happened? Well, quite simply, the banks did what banks do: they looked after their interests and didn’t give a damn about yours. Here’s how the whole ugly operation proceeded. 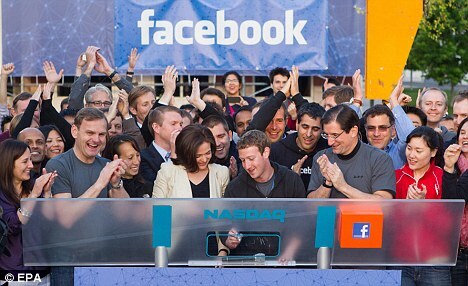 Step one: they pumped up Facebook’s valuation as high as they could. Since a bank’s fees are in general a percentage of total money raised, the more highly they valued the firm, the greater the fees they got to rake off the top. They were assisted in this by irresponsible cheerleading from across the mainstream financial media. Step two: since banks know that professional investors aren’t that easy to fool, they didn’t try too hard to do so. Facebook is a company with a huge profile amongst ordinary retail investors, so it’s pretty easy to ensure a huge retail following for the IPO. Morgan Stanley, one of the firms involved in running the whole operation, stands accused of effectively differentiating between different classes of investor. Allegedly, one of its analysts shared negative news about Facebook with institutional investors that it did not also share with retail ones. If those allegations prove true, Morgan Stanley was effectively protecting its most valuable clients and letting the retail investors – that means people like you – go hang. Or to put it at its starkest, the suggestion is that Morgan Stanley sold a stock that they knew to be overvalued to retail investors while protecting its wealthiest clients. Step three: they launched the IPO, took their fees, watched the share price plummet, and will now wait until a sensible price has been reached, before going back to their original rich clients in order to start the business of actually trading the stock in the normal way. Have I left anything off? Well, yes actually, Step Four – the one step no Wall Streeter would ever forget about – the bankers involved will almost certainly pay themselves giant bonuses. OK. So one of two things is true. Either, Morgan Stanley did not follow those regulations, in which case I personally would argue that the only fair penalty would involve a significant number of Morgan Stanley bankers serving a long sentence in jail. Remember that during the London riots, we saw people jailed for breaking a couple of windows and nicking a couple of TVs. The destruction of value in the Facebook IPO has so far run to many billions of dollars and we haven’t seen the last of it yet. My own rule of thumb – call it the Feierstein rule – is that for every million dollars criminally destroyed by a bank, one banker should spend one year in jail. It’s a pretty gentle rule, in all honesty (the London rioters were dealt with far more harshly), but even so, thirty billion dollars translates into thirty-thousand years of banker jail time. Sounds good to me. That’s option one. Here’s option two: what Morgan Stanley says is correct. Let’s say it scrupulously followed every regulation, every procedure, every last detail of compliance. If so, those regulations have totally failed to protect retail investors. Who cares if the rules are followed, if they don’t do what they need to do? Or actually, now I think about it, there’s a third option. Which is both of the above. 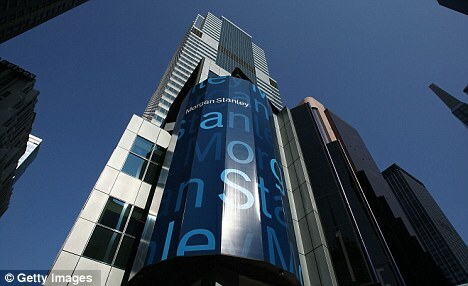 Maybe, Morgan Stanley didn’t follow those rules and maybe, in any case, those rules are inadequate. Maybe the regulators are feeble; the banks dangerous, slipshod and unethical. Maybe the courts just can’t cope with the money and sophistication of the bandits they’re struggling to deal with. Perhaps, in fact, the entire, ugly, destructive machinery of Wall Street and the City of London is the same as it was in 2007: destroying value, threatening economies, beyond reach of the law. Time will tell which of these options is correct. But until we see the ‘too big to fail’ firms broken up and until we see bankers in jail for ruining the lives of countless retail investors, the system is failing. The end can’t come too soon. Can’t trust the banks?? What about Barc RBS etc… LIBOR fixing …JPM $9bn Goodbye Dimon and Diamond!! PlanetPonzi is a blog that loves accountability, transparency and truth. We applaud and commend those who question and those who challenge authority. We love folk who make things and invent things, and anyone who works hard and or raises a family. Please subscribe to our list for newsletter.